Coaches and athletes can research colleges all over the country with the College Search Tool. This is a great way to find college that meet specific needs such as school size, tuition cost, majors, location, competition level, and more. 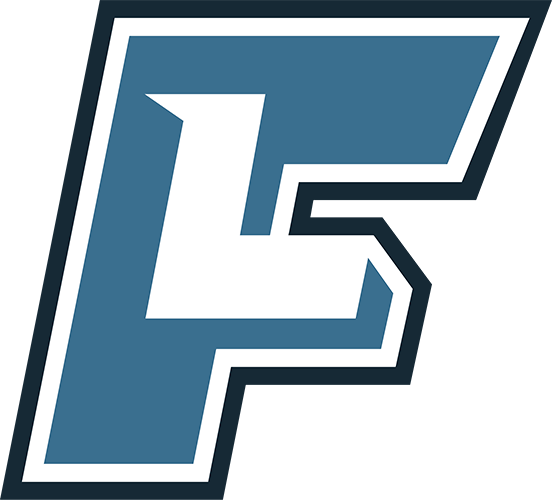 Athletes upgraded to FieldLevel Premium can search by additional criteria including Match Strength, Colleges Followers, Target Schools, Coach Connections and Promotions. 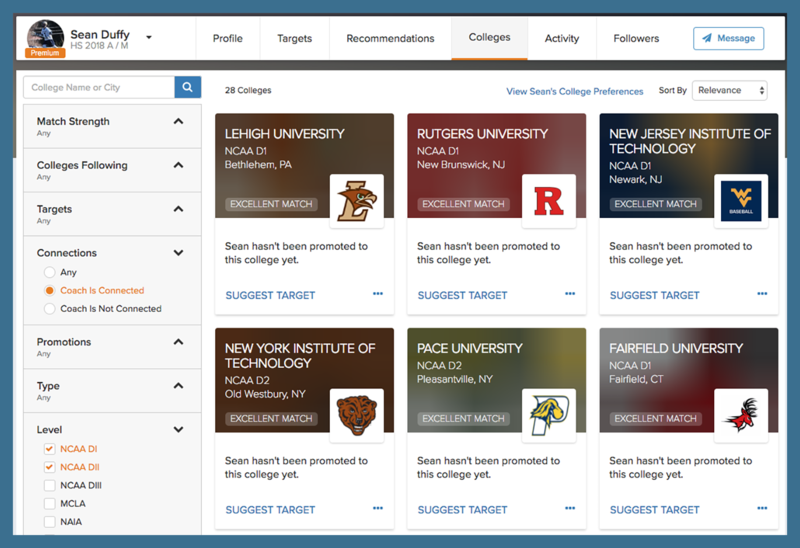 Using the College Search Tool is a great way to identify schools and add them to athletes' Target Lists. Coaches can also use the tool and suggest colleges to their athletes to add to their Target Lists. Athletes can use the College Search Tool simply by clicking Colleges in the toolbar at the top of their profiles. From there, they can use the filters on the left side of the page to research schools. Athletes can add any college to their Target Lists by simply clicking Add to Targets or they can learn more about the schools by clicking the "..." on the bottom right side. Using the College Search Tool, coaches can identify college programs using the same criteria as athletes. 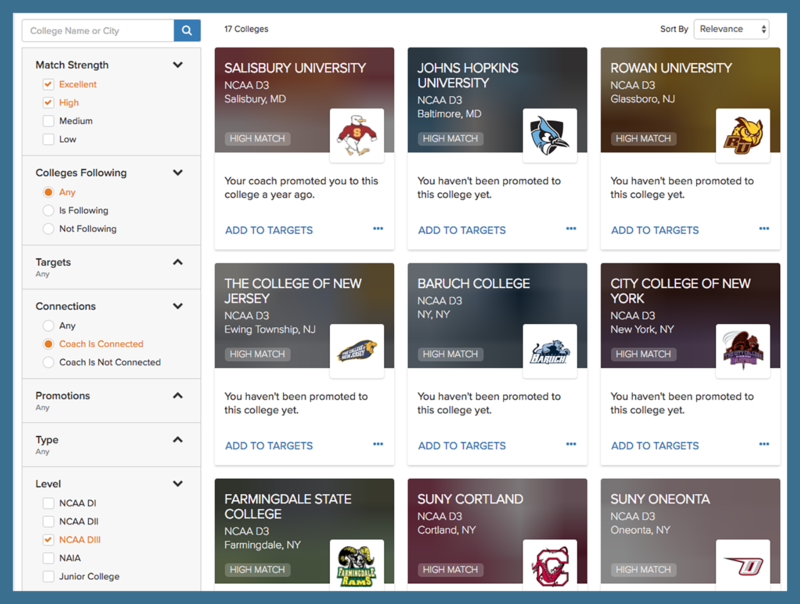 Coaches can access the College Search Tool by clicking into any of their athletes' profiles and selecting College on the top toolbar. Coaches can use the filter on the left side, research schools, and even suggest colleges to target directly to their players.